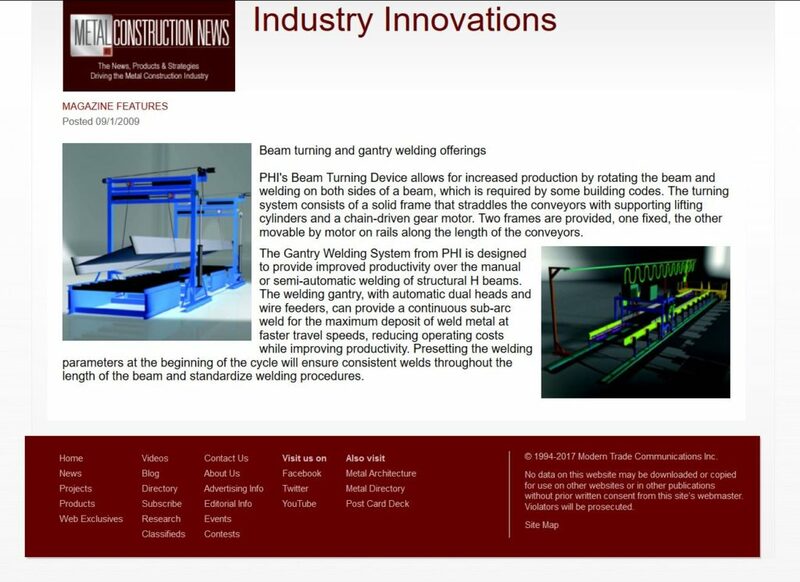 PHI’s Beam Turning Device allows for increased production by rotating the beam and welding on both sides of a beam, which is required by some building codes. 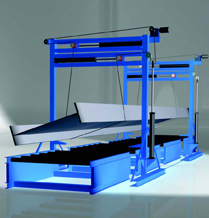 The turning system consists of a solid frame that straddles the conveyors with supporting lifting cylinders and a chain-driven gear motor. 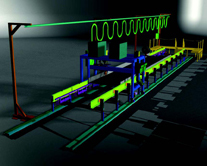 Two frames are provided, one fixed, the other movable by motor on rails along the length of the conveyors. See the original webpage or read a PDF copy.